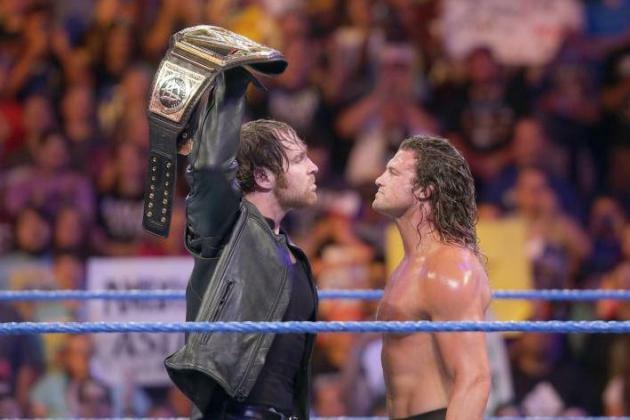 Some Exciting 2016 WWE SummerSlam Matches! Once again, John Cena squared off against A.J. Styles. This time, A.J. Styles emerged from the competition with a clearcut victory. The two wrestlers have vied with one another in the past on several occasions, developing a legendary rivalry. Both maintain a legion of loyal supporters. John Cena inflicted a back body drop on A.J. Styles early in the course of the match. He also displayed a number of his most reliable wrestling techniques, including devastating shoulder blocks. Nevertheless, despite some very effective strategies, A.J. Styles managed to counter the moves proficiently. During an exciting match, he skillfully succeeded in coming from behind to prevail as the clear victor. The match between Brock Lesnar and Randy Orton became a focal point for many fans who attended the 2016 SummerSlam. These two very talented athletes squared off to provide an exciting match which produced some dismaying results. At the start of the contest, no one could predict with confidence which wrestler would prevail. Indeed, both men possess impressive credentials as athletes. With a string of past titles to his credit, Randy Orton boasts an extensive background in the sport. He began studying the game at an early age, and his father and several other relatives have also excelled as professionals wrestlers. Yet Brock Lesnar possesses equally strong qualifications. He has won wrestling titles in the past, too, and has also earned renown as a sportsman on the football field and in martial arts. 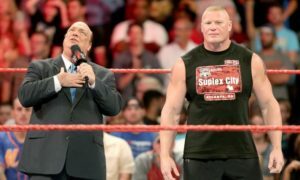 His cross-training likely assisted him during the SummerSlam this year: Brock Lesnar scored a TKO against Randy Orton after a grueling, bloody match. He earned criticism from some fans for inflicting significant damage upon his opponent during the game. In an exciting performance, Finn Balor emerged from a match against Seth Rollins as the first WWE Universal Champion in the history of the SummerSlam. Although Seth Rollins executed some very effective body slams during a hotly contested match, Finn Balor won the decision, emerging as the first holder of the new title. If 5Dimes sportsbook predict results in WWE games, the outcome of the match likely caused some consternation. Experienced sports analysts might have surmised a Seth Rollins victory based on his extensive history of success in the ring as a previous world heavyweight champion. Finn Balor only became a regular on the WWE lineup recently. He reportedly sustained an injury to his shoulder during the match and later required surgery. Despite this year’s sometimes violent 2016 WWE SummerSlam event, wrestling fans will likely continue to follow the careers of some of these wrestling superstars with interest. Finn Balor certainly merits more attention, although he will need to recover from the injury he sustained in the match. Yet fans should probably not rule out the possibility that his victory on Sunday night will incur strong challenges in the future, possibly once again from dynamic Seth Rollins. Will Seth Rollins accept the close defeat that cost him a new title without seeking another match? Although perhaps too early to speculate, it seems plausible that he will once again seek the coveted new universal heavyweight title in the future. Perhaps the injuries occurring during these matches will cause promoters and sponsors to review safety issues closely soon. Fans appreciate robust competition, but don’t welcome mayhem!